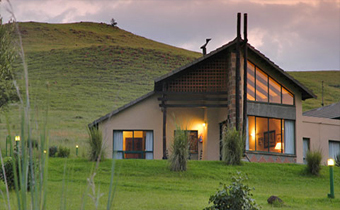 Drakensberg Mountain Retreat is situated on the northern Drakensberg. 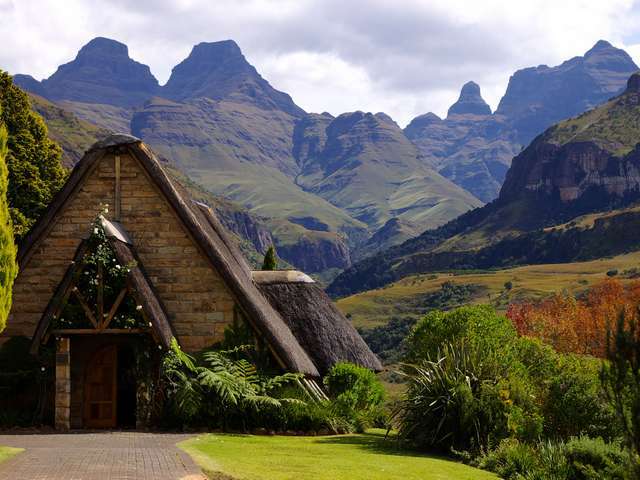 Drakensberg Mountain Retreat overlooks the Drakensberg and Maluti Mountains from high up on a ridge. 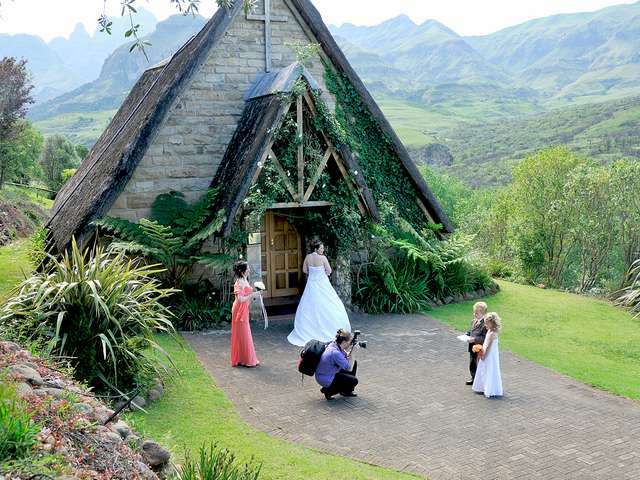 Drakensberg Mountain Retreat offers a comfortable, homely and affordable country accommodation. 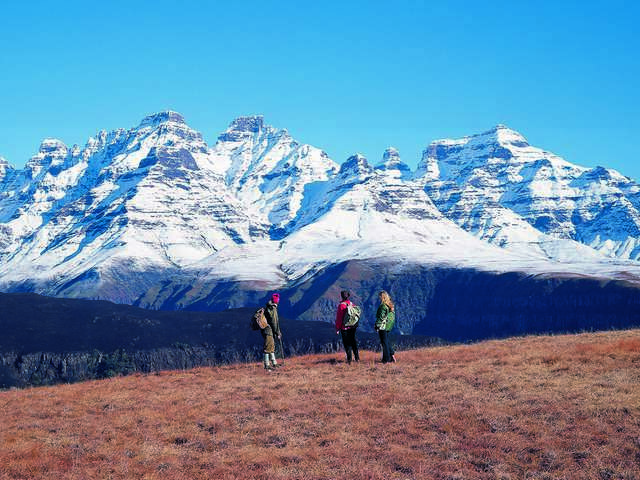 The surreal views of the drakensberg are unsurpassed and makes it a great place to take a walk while soaking up the scenery. The peace and quiet of the setting makes it the perfect place to relax and unwind. 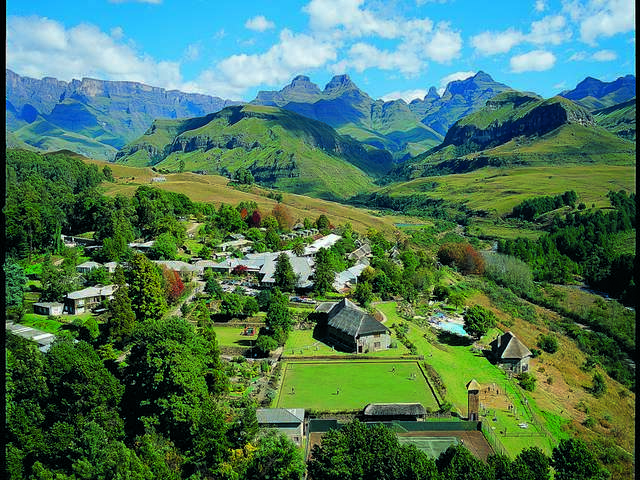 The emphasis of the Drakensberg Mountain Retreat is on a relaxing country getaway, with home cooked meals and facilities able to accommodate either self catered or fully catered stays. 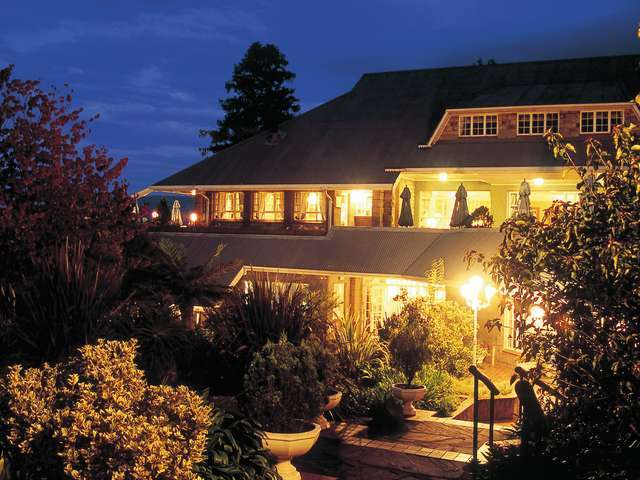 Drakensberg Mountain Retreat offers two accommodation venues. Vergzient Lodge offer both Bed&Breakfast and Dinner,Bed&Breakfast and is great for loved ones wanting to spend quality time together. 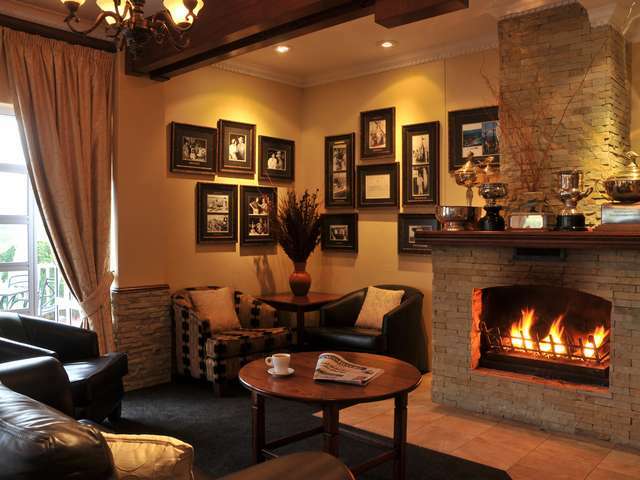 The Lodge has 10 rooms and offers a full stocked bar. A great venue for larger groups of 10 to 26 people and has an option of either self catered or fully catered. It has a large function room which is ideal for small conferences, weddings, family gatherings, events, holidays and retreats. 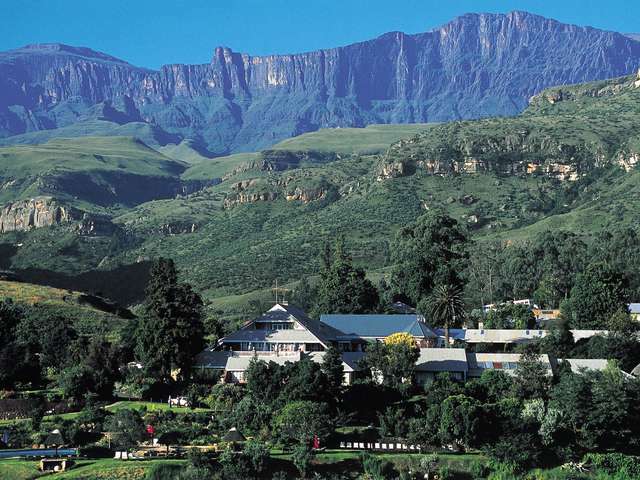 Drakensberg Mountain Retreat offers activities such as bird watching, hiking, walking trails and a heated swimming pool. The conference center holds upto 40 people. Services include a laundry service, tour arrangements and wifi access. Pets are permitted. Dinner, breakfast, morning and afternoon tea are included on the dinner, bed and breakfast option. A packed lunch is offered for would be adventurers at an extra charge. Lunches can be ordered from the kitchen between 12:30 and 13:30. Breakfast is served between 07:30 and 09:00. Enjoy an array of fresh fruits, yogurt and cereal and a full english breakfast. Dinner is served at 19:00 and is a 3 course set meal by candle light. 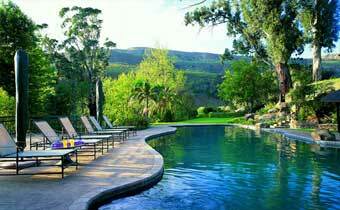 Drakensberg Mountain Retreat cater for any dietary requirements. Children younger than 12 will be served earlier and will then be entertained in the games room next door while the parents enjoy their dinner. Take the N3 from Gauteng to Harrismith. At Harrismith, turn right to Bethlehem. 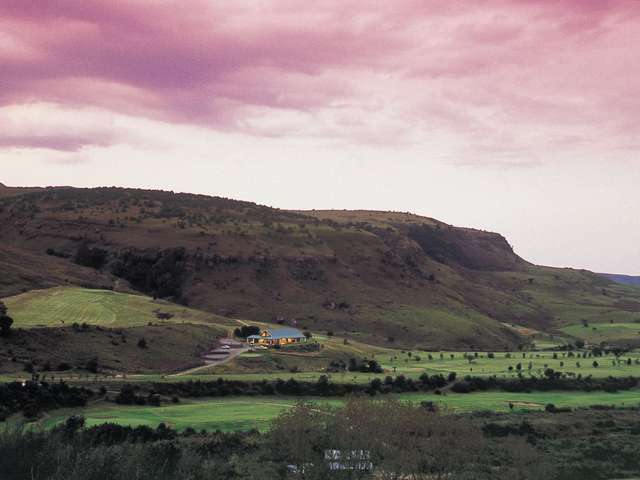 Approximately 4 km out of Harrismith, on the N5 to Bethlehem, turn left onto the R74 to Bergville also R712 to Phuthaditjhaba. After approximately 9 km, turn left - R74 to Bergville continuation. After approximately 20 km, turn left onto a dirt road marked Retief Pass and Retief Klip - there are small National Monument Signs. 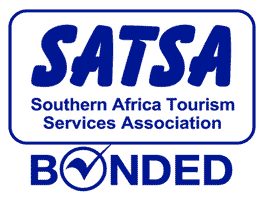 Drive approximately 2 km and turn right onto the Retief Pass road. Follow the road for about 12 km - most of the way it runs parallel to an old canal. 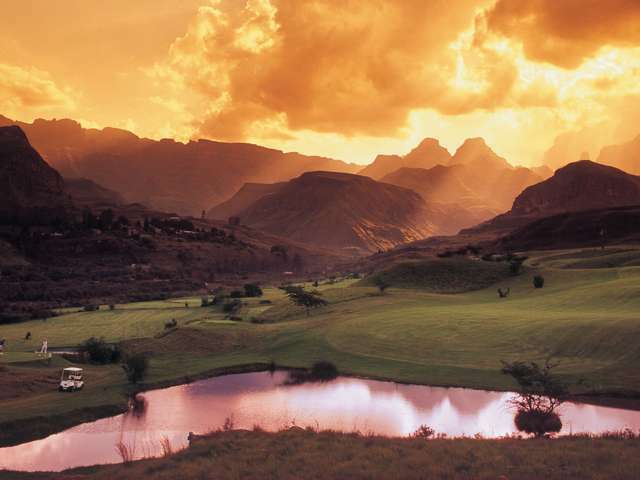 Approximately 1 km beyond the canal, turn right at the sign to the Drakensberg Retreat. Take the Colenso/Bergville turn-off, pass Little Switzerland, up Oliviershoek Pass, pass Caterpillar and Catfish and +/- 4 km turn right to Retief pass/Retief Klip.